Alan Pacific Group (the parent company of the Rancho Park Golf Academy) helps others by sponsoring golf activities for charity events, as well as providing a scholarship program. In addition, we believe in treating our employees, vendors, neighbors, and greens well. 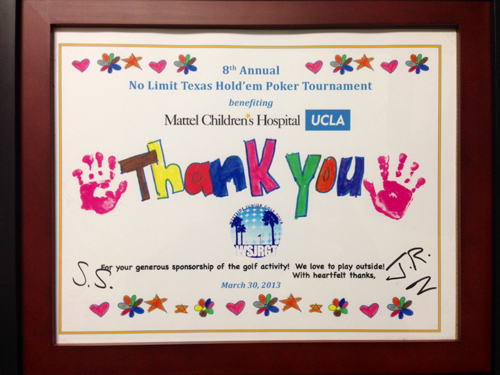 We have sponsored charity golf events for the Mattel Children’s hospital UCLA and the Month Of The Military Child “Kids First”. Also, our scholarship program has supported future little golfers by offering free registration and lesson fees. This helps students to receive golf scholarships from colleges, and opportunities for a better education and a better life. We care where we do business and where we live. We believe that small steps can be a big movement to change the world for the better. And we are already doing it. *The Month Of The Military Child "Kids First"